ONE OWNER LOW MILES DURAMAX 6.6 HD WITH ALLISON TRANSMISSION! 16,750 MILES, 4X4, Cruise Control, Black Vinyl Floor for easy maintenance, Front Center Armrest w/ Storage & Cup holders, AM/FM Radio w/CD Player, Fold up Rear Seat, 6 Passenger, Tow Package, Trailer Brake Control, Bed Liner, Tow Hooks, Clearance Lights AND MORE! CLEAN VEHICLE HISTORY REPORT! 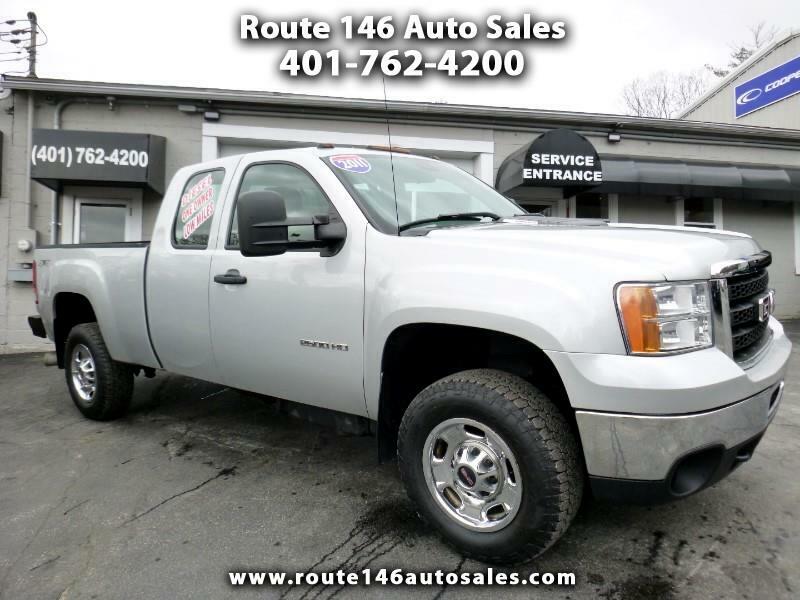 This GMC Sierra 2500HD is ready to work for you! Give us a call today for more information about our GMC! You can call our friendly sales team at 401-762-4200. We Offer Financing here at Route 146 Auto Sales Inc, with COMPETITIVE LOW RATES! All types of credit are welcome, every vehicle comes with a 30 Day or 1,000-mile warranty, Fully Serviced, Inspected, and Detailed. We have Extended warranties available, a Full-Service center to handle any of your future needs, and Accessories to spice up your ride! Call us today for more information, to schedule a test drive, or to ask about your financing options. Visit our website 24/7 at WWW.ROUTE146AUTOSALES.COM to view our entire inventory, photos, fill out a finance application, or schedule a service appointment. Hassle free pricing and absolutely no pressure sales! Family owned and operated, 12 years in business, we want you to join our Route 146 Family!